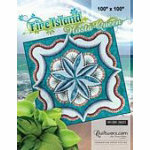 Home > JUDY NIEMEYER PATTERNS > Fire Island Hosta Queen 100" x 100"
Foundation paperPiecing Finished Size 100" x 100"
Fire Island Hosta Queen is the much anticipated Queen Size version of the Fire Island Hosta pattern, published in April of 2014. The Queen Size pattern will be published as a STAND-ALONE design. Due to significant yardage differences for background and feature fabrics, this quilt has been published as it’s own pattern, instead of an Expansion package. The pattern features Judy’s newest paper piecing technique, Curved Paper Piecing, to complete the feature leaves in the center, and a curved border design that has new assembly techniques in order to successfully complete the quilt. This quilt is a wonderful design for those looking to expand their paper piecing skills and is sure to be a show-stopper, no matter how it is completed! We would like to thank Hoffman Fabrics for the fabrics to complete the sample on the coversheet. Watch for new colorways in the future and kitting information on our website. The quilt top was pieced, in part by Certified Instructor, Sue Wilson and quilted by Certified Instructor, Linda Tellesbo. 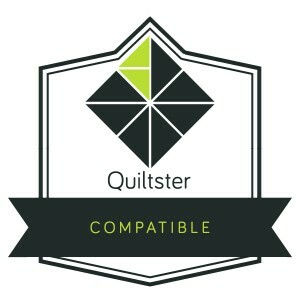 Although primarily a custom quilting effort, some of the elements of the quilting design will be made available at Quiltworx.com for purchase, later this year.